The Avengers by Brian Michael Bendis Complete Collection Vol. 2 review: brilliant storytelling and a look at the lighter side of super-heroics – AiPT! Tony Stark’s fortune is gone, Captain America’s leadership is questioned and Thor is no more! 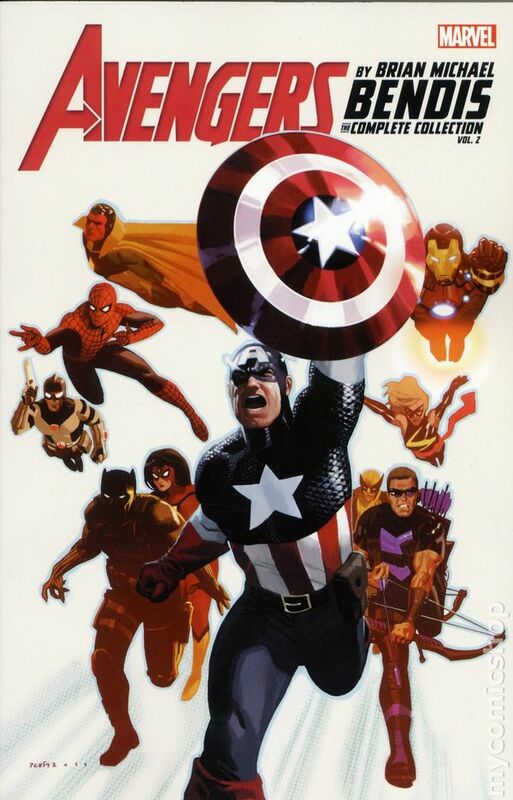 Avengers by Brian Michael Bendis Complete Collection Vol. 2 is the second of three installations containing twelve issues of Bendis’ 2010 Avengers run. So is it good? This is now my second Bendis Complete Collection in the last two months with his New Avengers #7 collection coming out in September. This collection picks up with the 2011 Fear Itself storyline with the destruction of the Avengers tower — which ultimately culminates with the team facing the Dark Avengers. In addition to the two major events the collection spans, a third of the book is dedicated to Bendis’ oral history of the Avengers which is something truly unique. The collection also features a revolving door of artists, each staying on for only a handful of issues. So you’ll get to see the work of Byran Hitch, John Romita Jr., Daniel Acuna, and a couple of other artists (more on that later). With the collection starting with Fear Itself, you’re immediately introduced to Bendis’ brilliant storytelling. The Avengers are faced with Red Skull’s daughter and are forced to wage a war that will take all of the rostered heroes to overcome. Deviating from a typical storytelling format, Bendis chooses to deliver the arc through the perspective of a reporter, chronicling the history of the Avengers over a series of interviews. This perspective allows Bendis to present these heroes with more humanity and emotion than normally seen, allowing these god-like figures to attempt to voice their inner thoughts and opinions of their fellow teammates and how the war played out. Besides the sequencing in which it’s told, Bendis highlights the lighter side of super heroics such as dating and social status within the team. Among the core group of Avengers, Spider-Woman, Ms. Marvel, and Noh-Varr are featured heavily and contribute to more of the comedic and lighter aspects of the collection. These three also help differentiate the cast and give the line-up a new vibe which sets this collection apart from your typical “Cap, Stark, and Thor” show. The storylines are action-packed, but balanced and much more entertaining than their New Avengers crossover issues. The oral history is a very cool component and unique to anything I’ve read in a comic. This history is presented by Bendis as chronicled by the biographer featured throughout the Fear Itself arc. It includes 20 chapters of a multitude of heroes bantering about the glory days and takes the reader through their finest moments. It’s funny, it’s “factual”, but most importantly it feels authentic. Without that sense of realism it would be a very long 170 pages, but Bendis is able to deliver. So it’s at this point that I must return to the art. I don’t believe I’ve ever mentioned this within my reviews, but I simply cannot read anything that John Romita Jr. is involved in. There must be something wrong with the cognitive wiring in my brain because I don’t find his aesthetic appealing whatsoever. Works such as Wolverine, Superman and All-Star Batman have been wasted on me because I couldn’t see past the artwork. He’s a stand-up guy and I’ve sat in on plenty of his panels, but my failure to see what so many others can is truly a curse. With that being said, JRJR contributes to some of the more poignant issues of the collection and I simply cannot enjoy them. I’m a Bendis fan and he certainly demonstrates why his writing should be favored in this collection. I can see how some people may not enjoy the storylines and I can relate to those who didn’t enjoy the art all the way through, but the group dynamic, the featured characters, and presentation of the initial arc are just some of the reasons that make this collection more successful than that of his New Avengers run.